To seekers of lost and forbidden knowledge, particularly wizards and elves, the Metal Gods provide unique opportunities. Were one to learn the names of even half of the entire assembled body of the Metal Gods and their associated histories, it is reasoned, one would know the history of the entirety of the world several times over. When the revolt against humanity's masters began thousands of years ago, the smiths and warriors who would become the first Metal Gods looked down upon no weapon, mundane or arcane, and as readily as they picked up steel they learned what magic arts they could. And so did the first Gods learn metallurgy and swordcraft along with invocations of rune magic and sorcery, swordplay and warcraft along with war wizardry and black magic. As they brought hope to their people, humankind began to write songs and war chants as paeans to the Metal Gods, recounting their deeds or prowess and sorcery; so too did some of the Metal Gods write their own songs to pass down what they had learned to their descended and, indeed, the entirety of human posterity. As the memory of Metal Gods gone by pass from human record and memory, so too do the songs to their greatness. 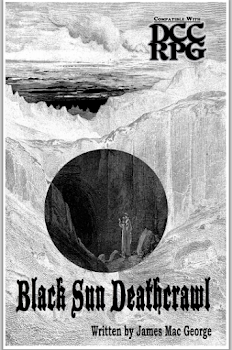 These songs, chants and lyrical epics are necessarily tied to the divinity of the Gods and, just as the Gods join their predecessors in the Gray Communion, these songs go on to resound through the Valhalla-like celestial realm of Gods where they form the soundtrack to the eternal wars which the Metal Gods wage against each other, other gods and even demon princes. While some cosmologists suggest that mortals can never interact with the Lost Hymns, wizard devotees of the Metal Gods know that the mortal mind can, indeed, harness the power of the Lost Hymns... it just can't remember them after the fact. The Lost Hymns have become a visceral experience, a state of grace that mortal wizards can summon forth like a storm to bolster themselves and batter their enemies. Since the names, lyrics, rhythms and melodies of the Lost Hymns can never be known by those without a deific nature, these Hymns are instead tapped by opening up a hole in space and time to the home of the Metal Gods themselves, a feat that only the most powerful of sorcerers dare attempt. 12-13 The Metal Gods fail to hear your pleas over the sounds of eternal battle. Your paean to them, however, creates a bridge to their celestial realm and you catch a glimpse of one of the Lost Hymns, inspiring you to greatness. You gain a +5 to your next attack roll, saving throw, skill check or spell check. 14-17 Acting as a conduit to the celestial realms of the Metal Gods, what starts as a humming of far-off instruments in the back of your mind arcs to that of your nearby allies. The humming quickly adds rhythms and melodies and before you realize what's happening, the opening notes of one of the Lost Hymns course through you, as if remembered from some dim ancestral, racial memory. You and all nearby allies (within 20 feet) gain +5 to your next attack roll, saving throw, skill check or spell check. 18-19 You summon one of the Lost Hymns from the vast beyond of the Metal Gods' celestial realm, and a song that has gone unheard for countless generations resounds through a breach in space and time. This ageless music inspires your allies and cows your foes in equal measure. When you roll this result, roll 3d6; the result of this roll determines a pool of benefits and penalties. This Lost Hymn pool is used up on a one-point-per-roll basis every time a d20 is rolled for an attack roll, skill check, saving throw, magic use check, etc. For allies of the caster, each d20 rolled gains a +1d4 bonus; for enemies, each d20 rolled suffers from a -1d4 penalty. Once the Lost Hymn pool has been used up, the Hymn fades from the area and may not be invoked again for 1d6 turns. 20-23 As 18-19, but the Lost Hymn pool increases to 3d8 and the benefit/penalty die increases to 1d6. Furthermore, the caster may, on his turn, expend 5 points of the Lost Hymn pool to strike any one opponent with a bolt of lightning summoned forth from the space-time breach; this bolt automatically hits and does 5d6 damage (Reflex save DC 10+CL+Intelligence modifier for half). 24-27 As 20-23, but the Lost Hymn pool increases to 5d6. In addition, by expending an additional 5 points of the Lost Hymn pool, the caster may, on his turn, invoke a wave of thunder centered on one opponent that does 1d8+CL damage to all opponents within 20 feet of the target and deafens them (Fortitude save DC 10+CL+Intelligence modifier to avoid). 28-29 As 24-27, but the benefit/penalty die increases to 1d8. 30-31 As 28-29. The caster may now, as a normal action, expend 10 points of the Lost Hymn pool to summon a servitor of the Metal Gods through the rift. Roll 1d6: (1-3) Type II Demon, (4-5) Type III Demon, (6) Type IV Demon. These demons may be of any sort not typically associated with a particular supernatural patron or of a type of a type that Judge designs. The demon remains for 30 minutes (Type II), 1d3 turns (Type III) or 2d4 rounds (Type IV) before crossing back into the Metal Gods' celestial realm. 32+ As above, except the Lost Hymn pool increases to 5d8. In the next few installments, I'll be looking at Spellburn, Corruption, the role of wizards & elves as devotees and how they differ and Metal Magic. Oh, and maybe I'll come up with some Patron Spells. That'd be nice.